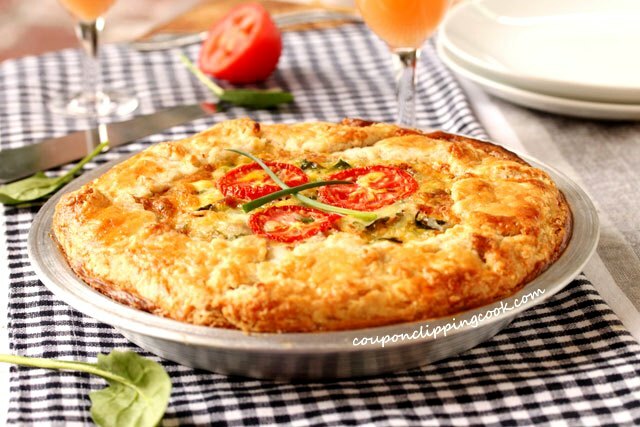 This breakfast pie is a crowd pleaser. 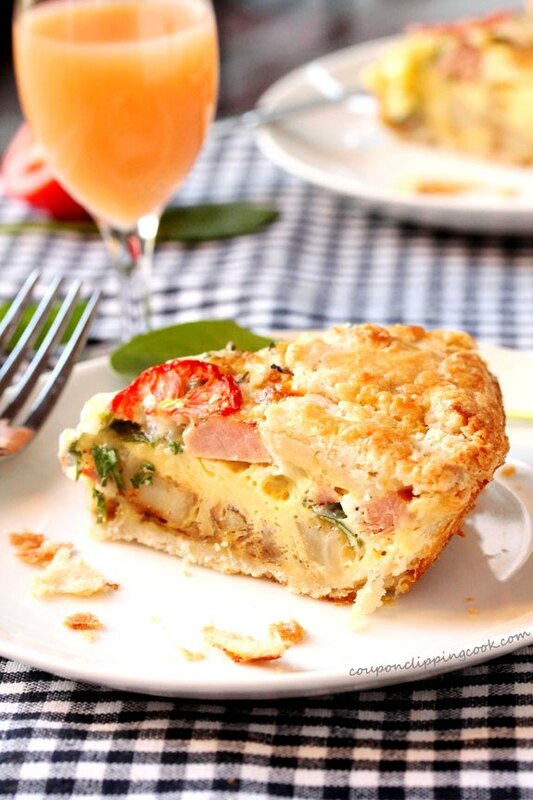 This is kind of a cross between a breakfast pie and a galette. It’s a pie because it’s in a pie pan but the crust edges are folded in towards the middle like a galette. I love making galettes because the crust doesn’t have to be picture perfect. 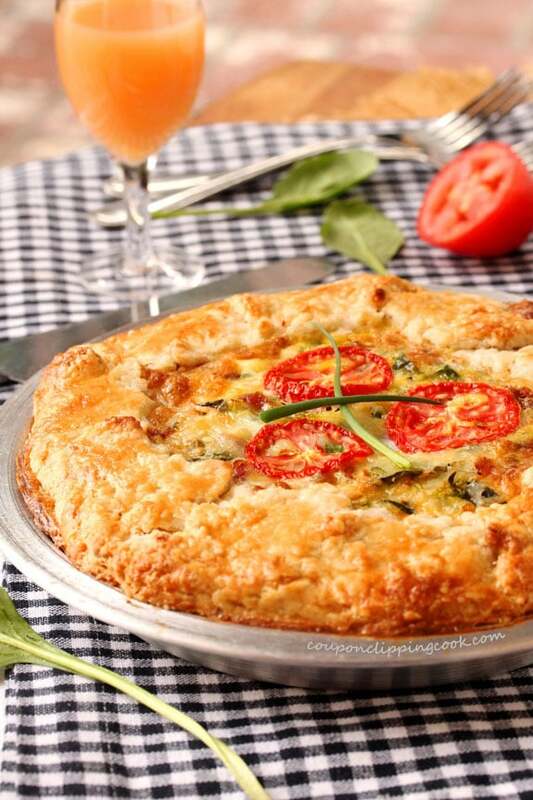 The crust on a galette can be rough around the edges and still look pretty and rustic. Although I used homemade pie dough in this recipe, the store bought pie dough would also work just fine. I think a crust with a bit of a shine looks really pretty so whether using homemade or store bought pie dough, brushing a little egg wash over it will add a bit more bling. 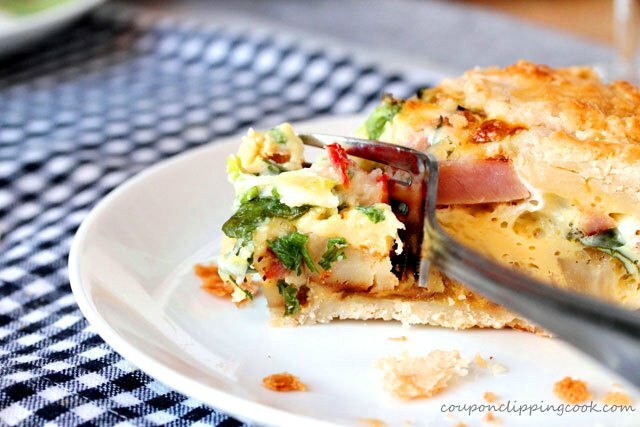 Breakfast pies, or galettes are great for using up leftover meat. And you can even go meatless if you like. I do love crispy fried potatoes in the filling. 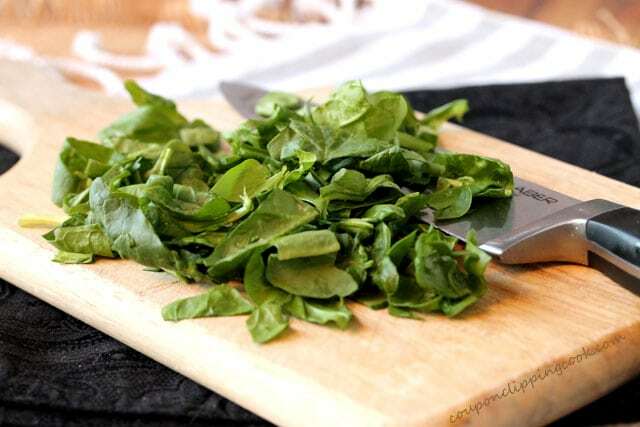 It adds texture and of course tastes wonderful. 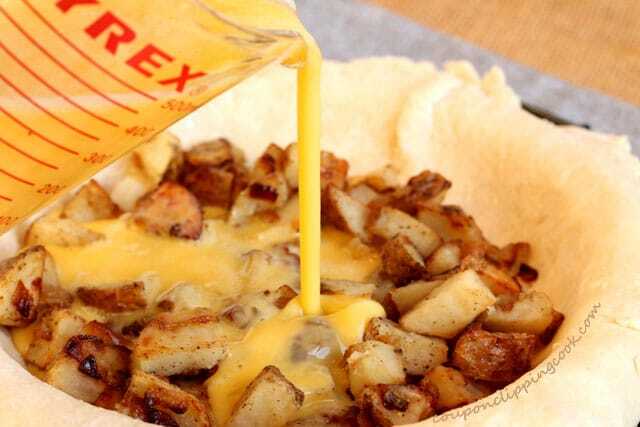 It’s kind of like when a breakfast burrito has fried potatoes in it, to me, all the ingredients seem to taste better. If you haven’t made homemade pie crust before, a galette is a great way to practice because it just involves folding over the edges of the pie dough…no crimping or decorative pie dough edges are needed. Super easy. Although the edges of the top crust in this recipe are folded inwards similar to that of a galette, a true galette is made free form and without a tart or pie pan; here is a delicious example Mango Blueberry and Ginger Galette. 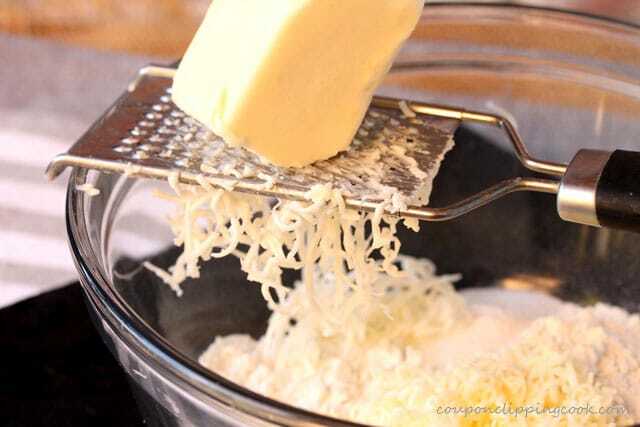 Using a small-size grater, grate the butter and add it into the bowl. Knead the dough a few times and set it on a large piece of plastic wrap. 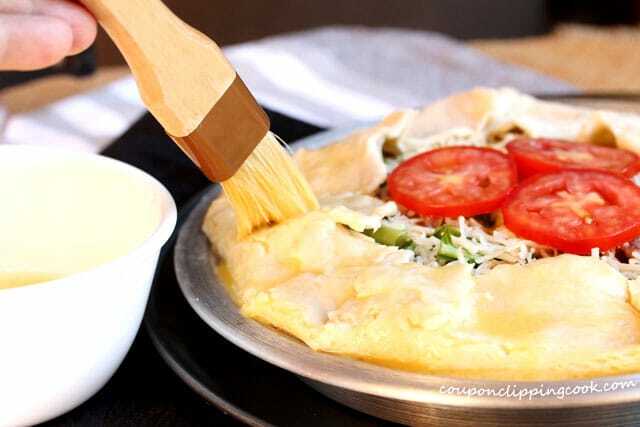 Wrap the dough in the plastic wrap and chill in the refrigerator for at least 2 hours. 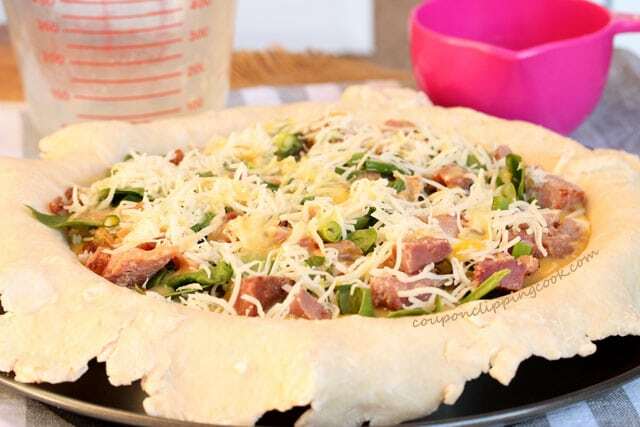 Make this while the pie dough is chilling. 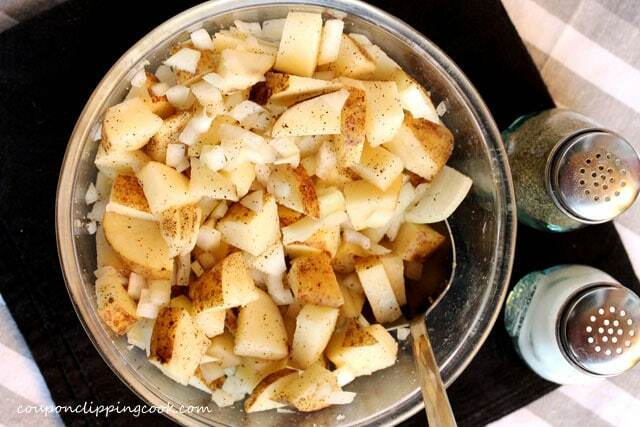 Stir until the potatoes and onions are coated with the salt and pepper. 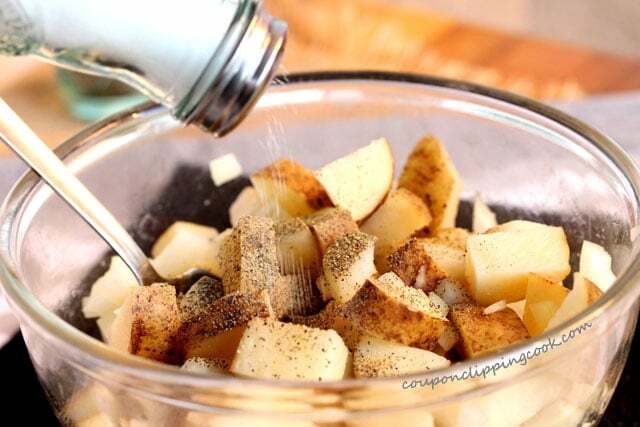 When the oil heats up just a bit, carefully add the potato mixture and stir. 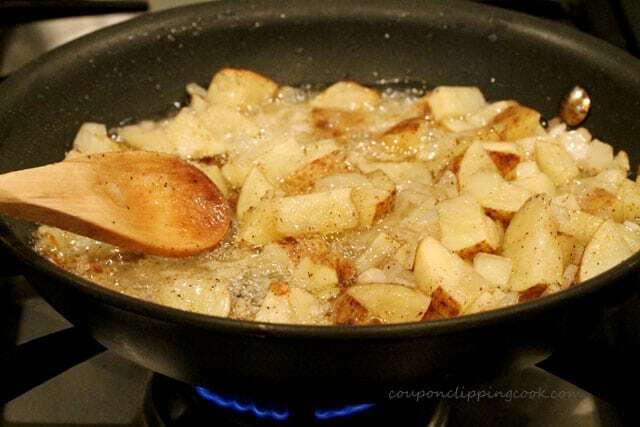 As the potatoes cook, gently stir. 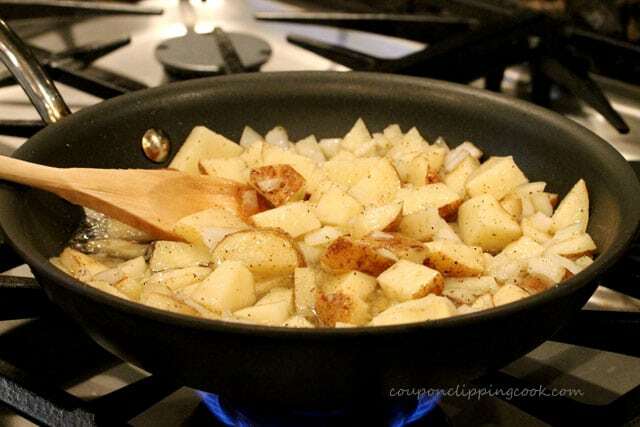 Continue to cook until the potatoes start to brown and get crispy. 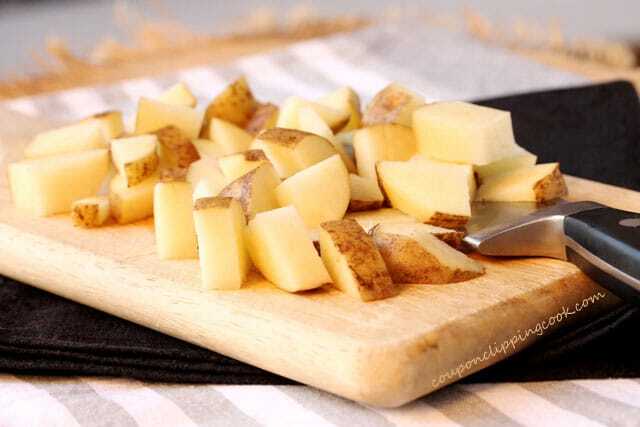 Transfer the potatoes from the pan to a paper towel-lined plate. Set aside. 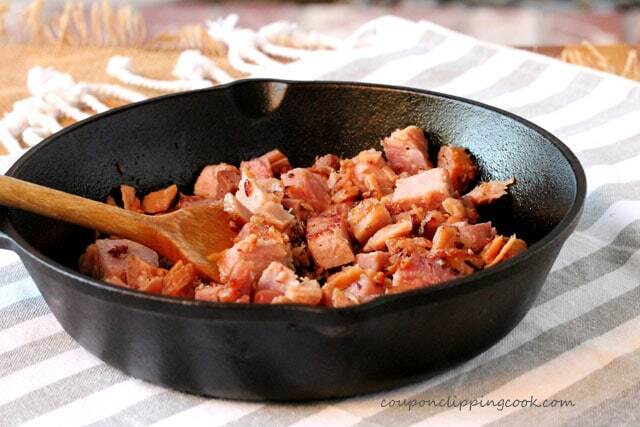 As an option, brown the chopped ham in a skillet with a little butter ahead of time. Browning the ham adds a little more flavor similar to caramelization and gives the chopped ham a nice color. But this is by no means a requirement for the dish. 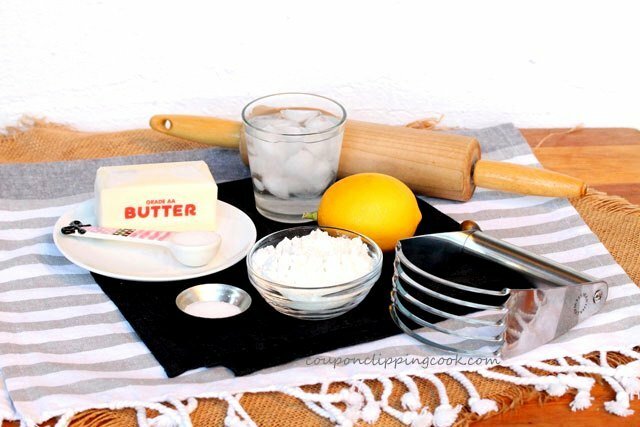 Forming the Dough – After the dough has had time to chill, on a large cutting board or rolling surface, sprinkle flour (or lay out a large piece of parchment paper). Lay the dough on top of the flour (or parchment paper). 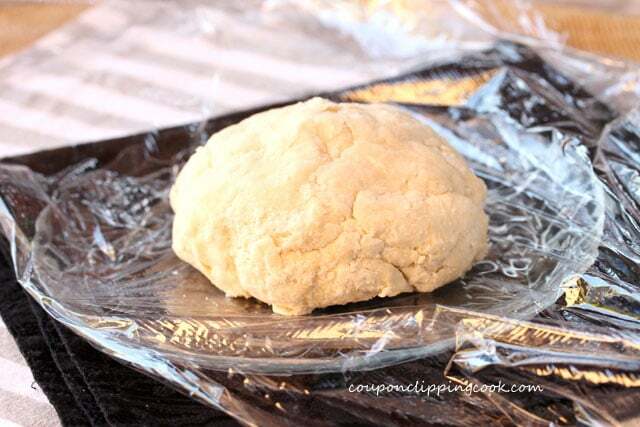 Lay a large piece of plastic wrap on top of the dough. 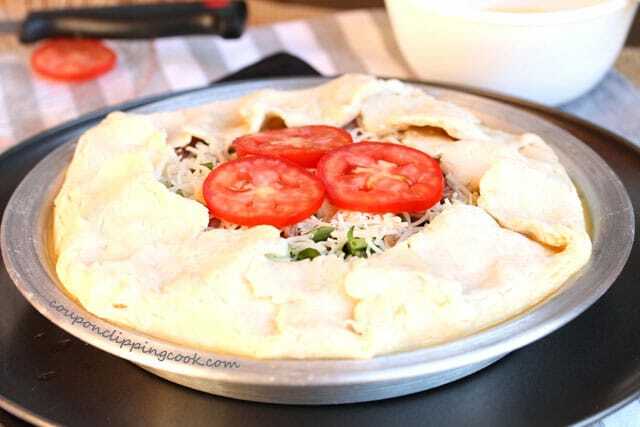 With your hands over the plastic wrap, flatten out the dough into a flat disk. 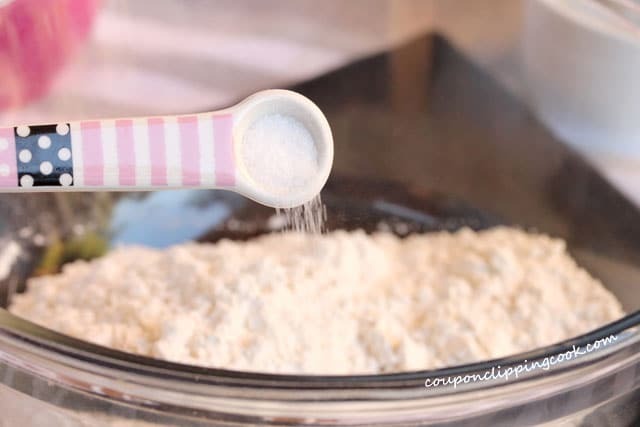 With a rolling pin, roll out the dough in the shape of a large circle that will fit into a pie pan plus add another 3 inches to the diameter of the circle. Spray cooking spray in a pie pan. 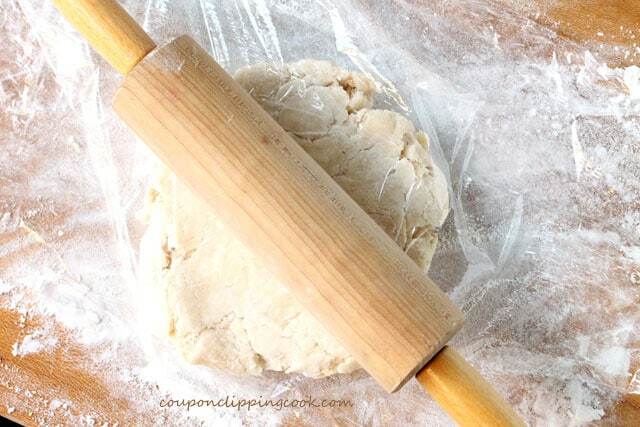 Add flour to the rolling pin and loosely roll the pie dough over the rolling pin. Lay the rolling pin over the pie pan and unroll the pie crust over the pan leaving the extra dough to hang evenly off the sides of the pan. Set aside. add the eggs and milk. 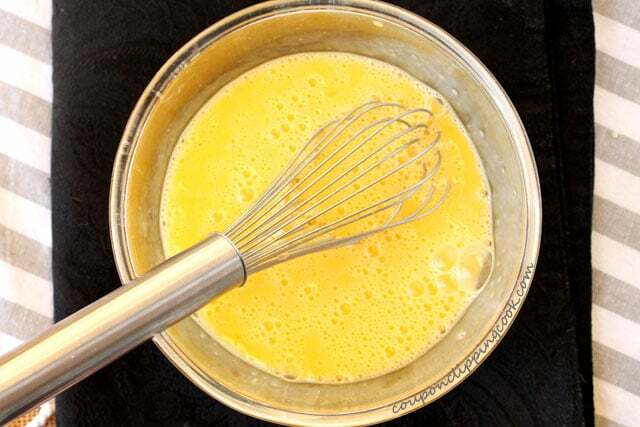 Whisk together and transfer the egg mixture to a large pouring measuring cup (for easy and even pouring over the filling ingredients). 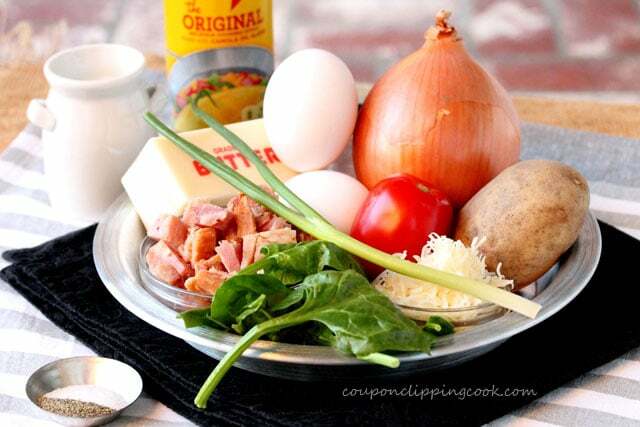 …add an even layer of chopped ham, spinach, green onion, and the rest of the cheese. Evenly over the top, pour in the remaining egg. For the Crust Edges – Fold the excess dough that’s hanging over the edges of the pan inwards towards the middle of the pie. 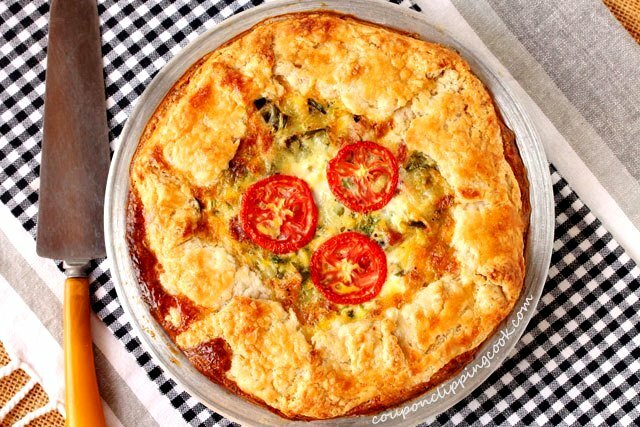 Lay slices of tomato in the middle of the pie (looks so pretty after it bakes). 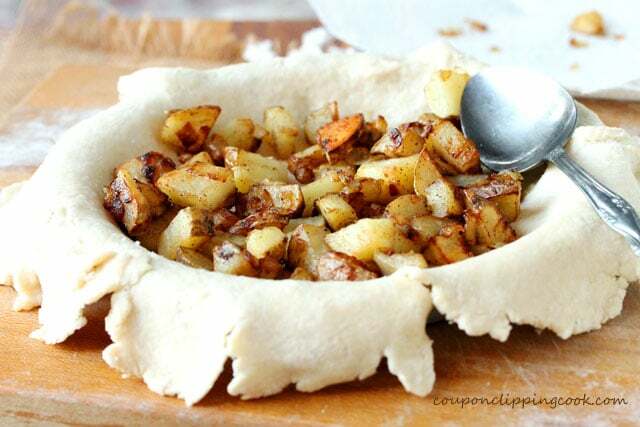 … brush over the folded edges of the pie crust. 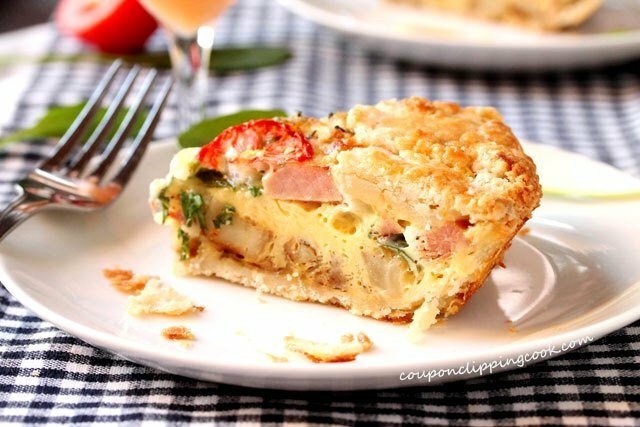 Bake in a preheated oven until the pie crust turns a golden color and the egg filling is thoroughly cooked (about 50 to 55 minutes). 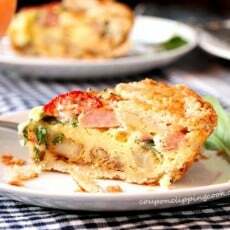 This breakfast pie is a crowd pleaser! 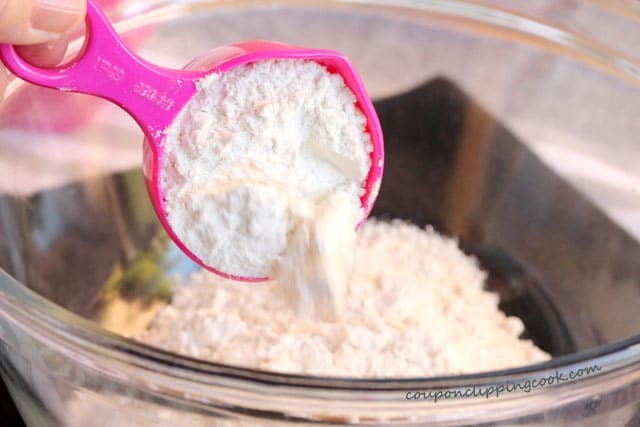 In a medium-size bowl, add the flour, sugar and salt. 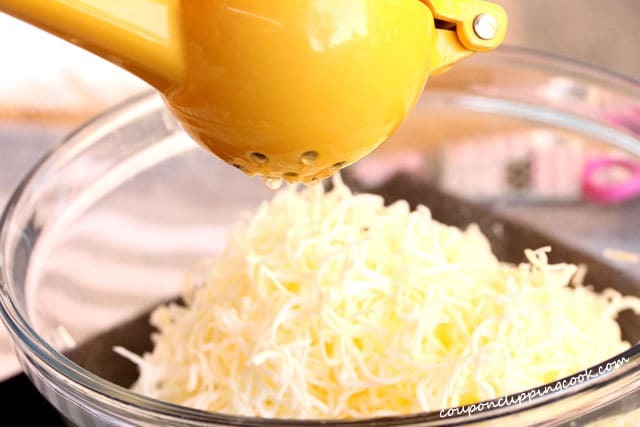 Using a small-size grater, grate the frozen butter and add it into the bowl. 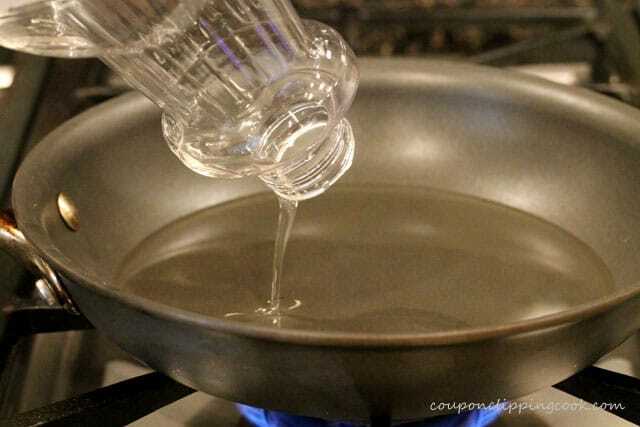 Add the water and lemon juice. 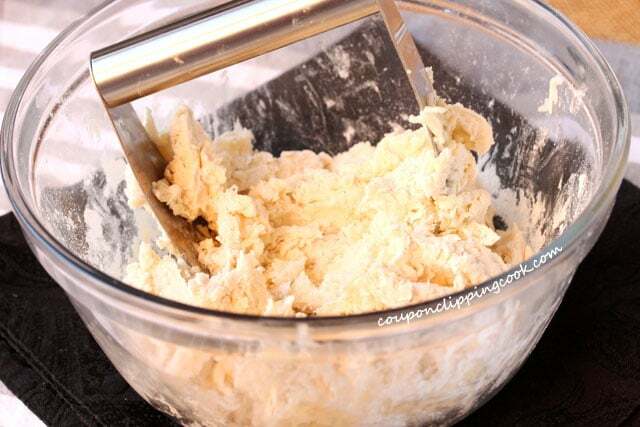 Using a pastry cutter or fork, cut the butter into the flour mixture. Knead the dough a few times and set it on to a large piece of plastic wrap. 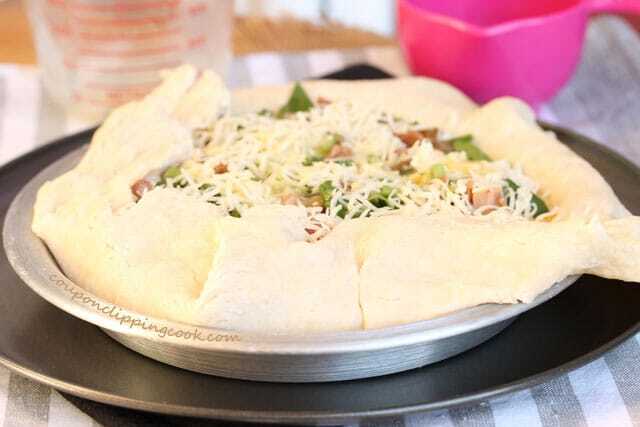 Wrap the dough in the plastic wrap and chill in the refrigerator for at least 2 hours. 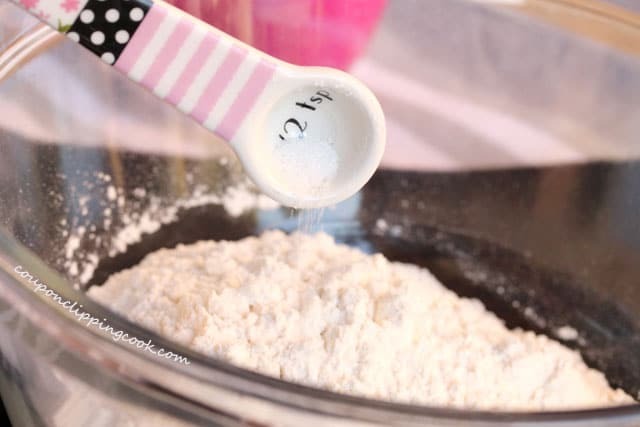 After the dough has chilled and just before filling the pie, on a large cutting board or rolling surface, sprinkle flour (or lay out a large piece of parchment paper). Lay the dough on top of the flour (or parchment paper). 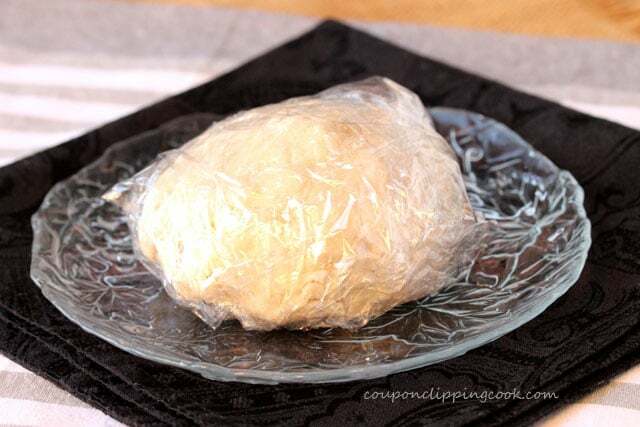 Lay a large piece of plastic wrap on top of the dough. 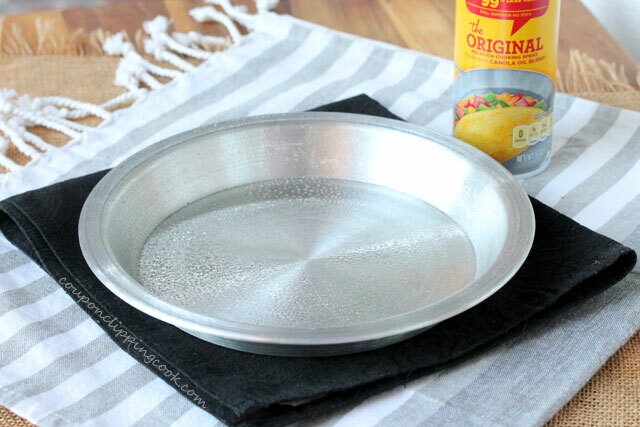 With your hands over the plastic wrap, flatten out the dough into a flat disk. 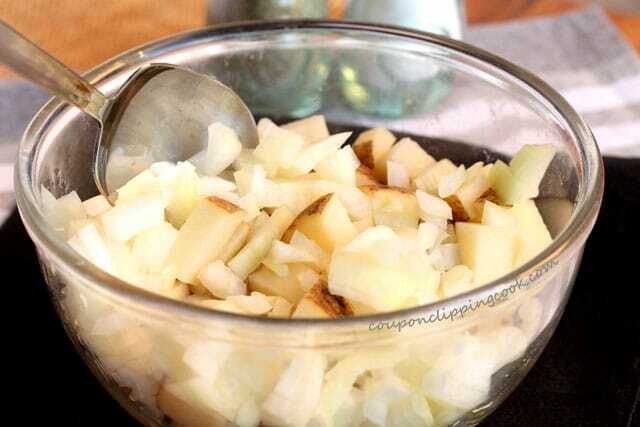 In a medium-size bowl, add the potatoes, onions, pepper and salt. 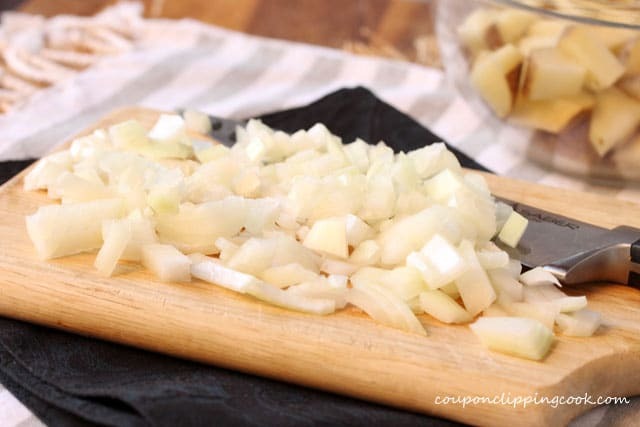 Stir until the potatoes and onions are coated with the salt and pepper. 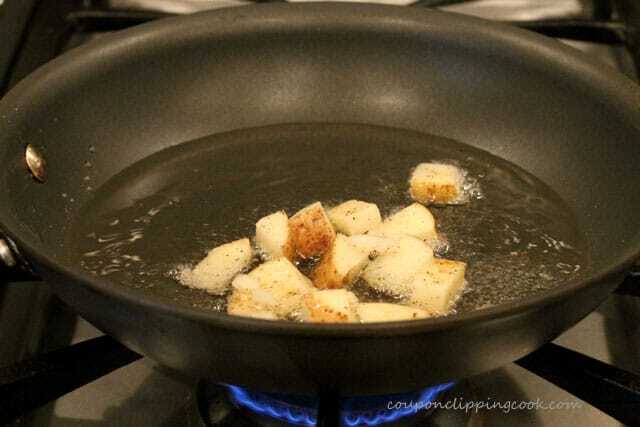 Heat a medium-size skillet on medium heat and add the canola oil. 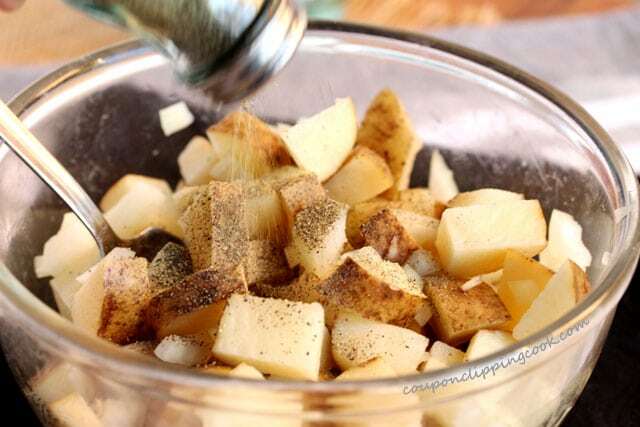 When the oil heats up just a bit, carefully add the potato mixture and stir. As the potatoes cook, gently stir them. 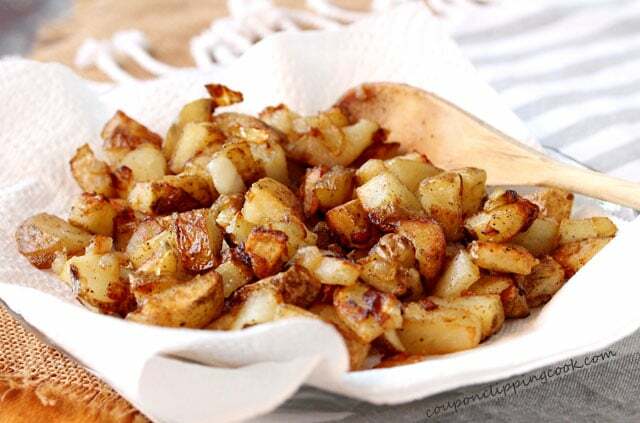 Remove the potatoes from the pan and put them on a paper towel-lined plate and set aside. As an option, brown the ham in a skillet with a little butter and set aside. Forming the Dough - Spray cooking spray in a pie pan. 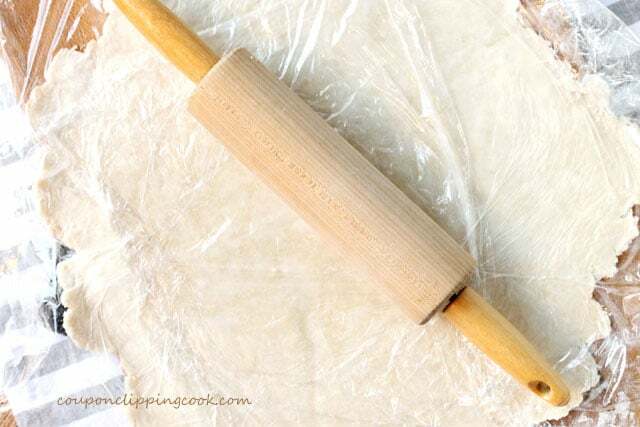 Add flour to the rolling pin and loosely roll the pie dough (that has been rolled into a circle) over the rolling pin. 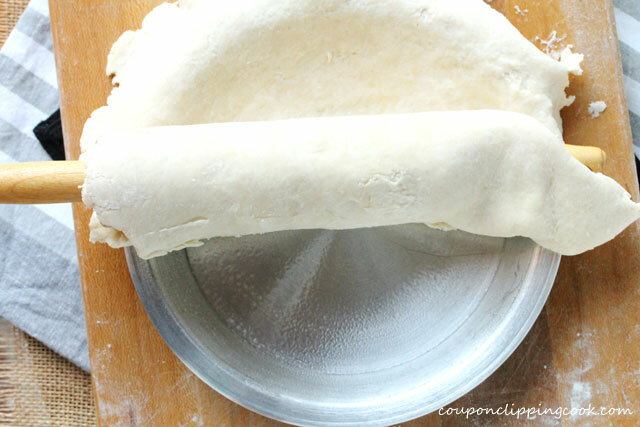 Lay the rolling pin over the pie pan and unroll the pie crust over the pan leaving the extra dough to hang evenly off the sides of the pan. Set aside. 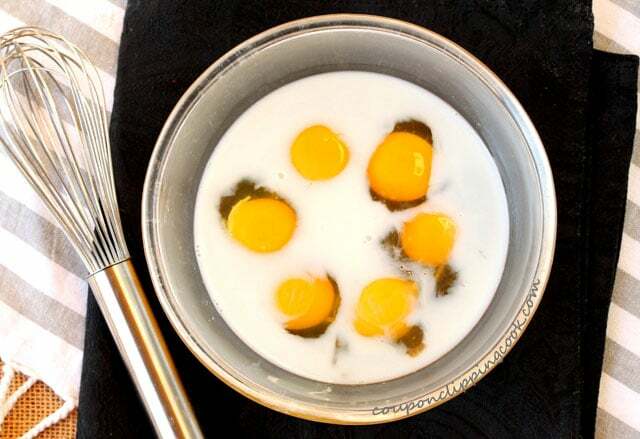 For the Eggs - In a medium-size bowl, add the eggs and milk. 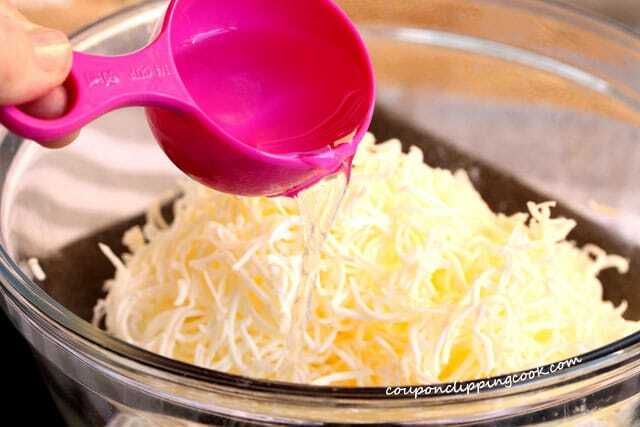 Whisk together and transfer the egg mixture to a large pouring measuring cup (for easy and even pouring over the filling ingredients). 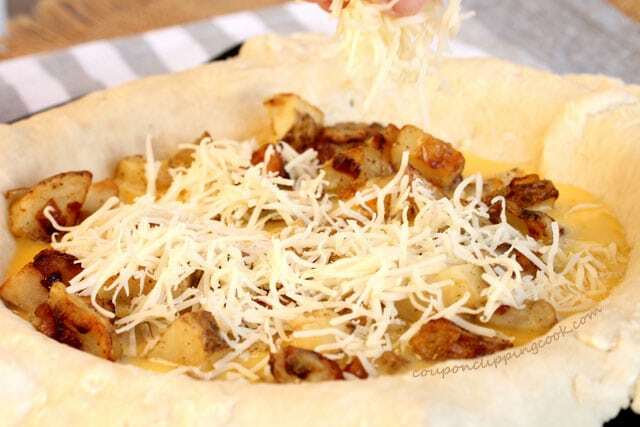 Filling the Pie Shell - In the pie shell, add the potatoes in an even layer, half of the egg and half of the cheese. 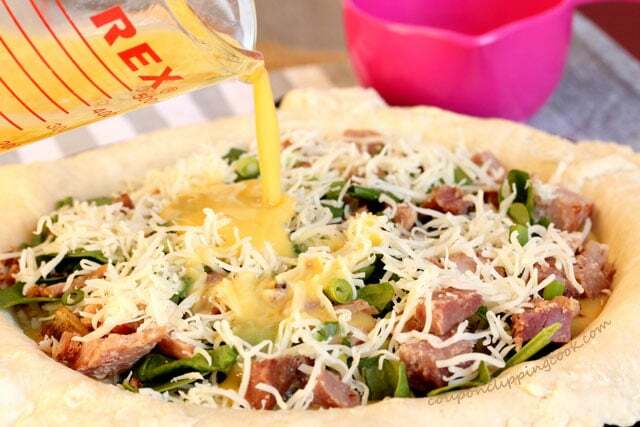 Then add an even layer of chopped ham, spinach, green onion, the rest of the cheese. Evenly over the top, pour in the remaining egg. For the Crust Edges - Fold the excess dough that’s hanging over the edges of the pan inwards towards the middle. 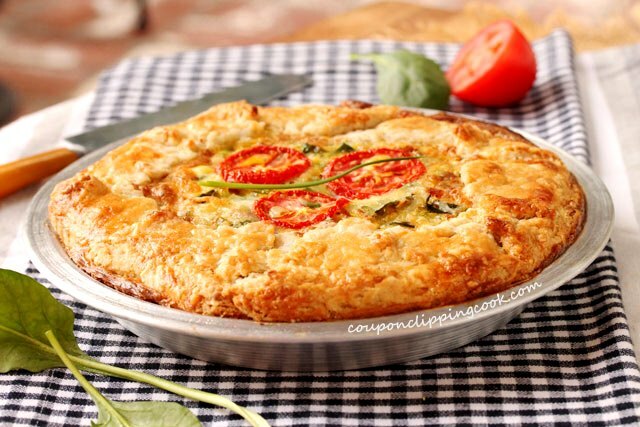 Lay slices of tomato in the middle of the pie (looks so pretty after it bakes). 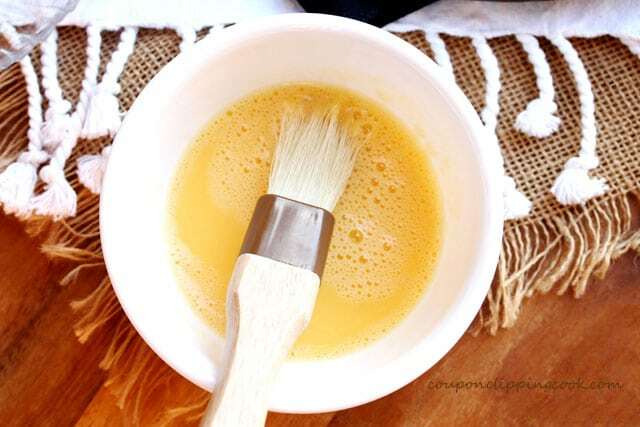 For the Egg Wash - in a small bowl, add the egg and water. 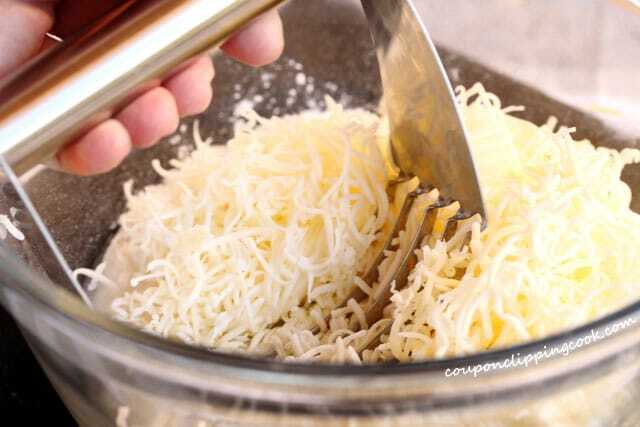 Whisk together and brush over the folded edges of the pie crust. 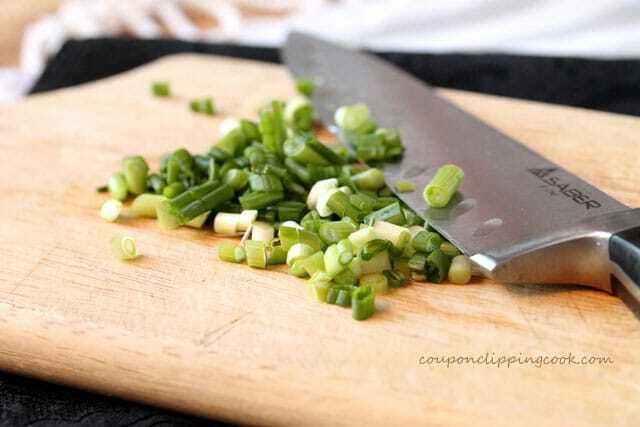 Serve while warm or store in the refrigerator and warm each piece in the microwave just before serving. Hi There, thank you for your comment and you’re absolutely right, a galette is made free form without a tart or pie pan. I added a quick update to the post to note this. Thank you very much again. I have tried this and it is delicious. Hi Jan, thank you for stopping by!